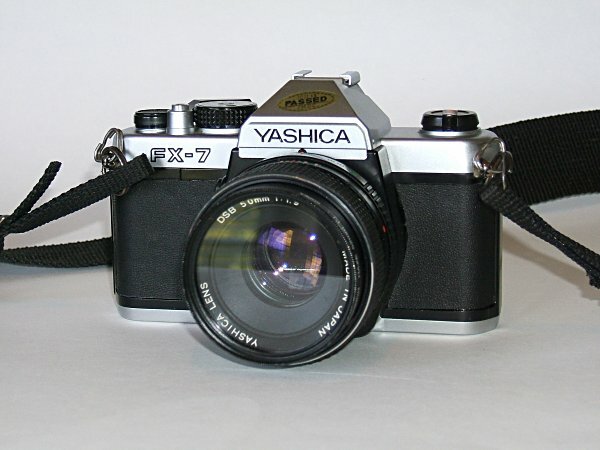 The Yashica FX-7 is basically a chrome version of the black FX-3, which was manufactured during the same time frame. It is my understanding that the FX-7s were typically sold outside of the United States. 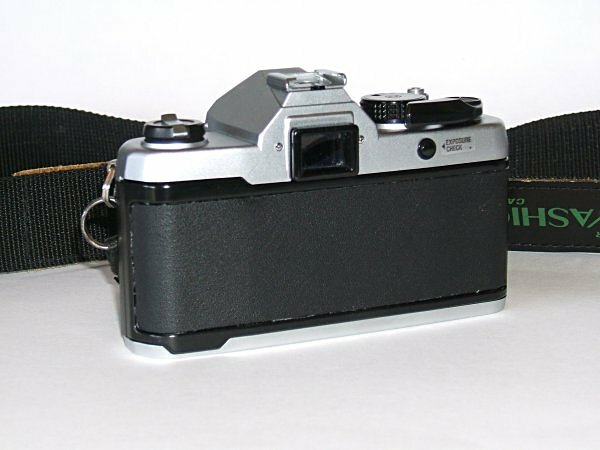 It accepts lenses with the Yashica/Contax lens mount and has a vertically- running metal focal plane shutter with speeds ranging from 1 to 1/1,000th second, and has a "bulb" setting for long exposures. Flash sync is at 1/125th second. It has through the lens full-aperture center-weighted light metering with SPD cell; manual exposure with LED display; metering range: EV 2--18 (with ASA 100 and 50mm F1.4 lens); ASA 12--1600 film speed range; exposure meter switch activated by pressing the exposure check button. 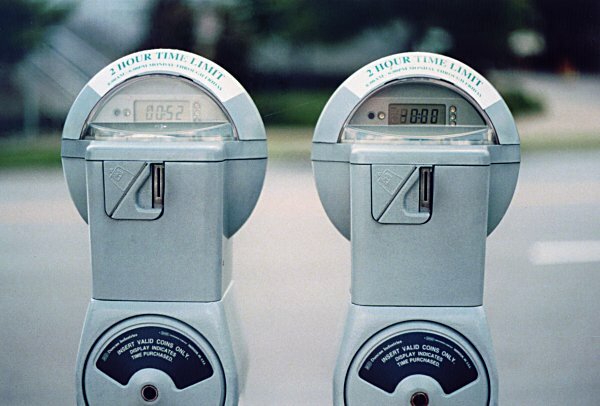 The exposure is metered by pressing a button on the back of the camera, to the right of the viewfinder. The exposure indicator is simply made up of three symbols on the right side of the viewfinder display. There is a red "+" sign, with a green "dot" beneath it, and a red "-" sign below the dot. No more than two symbols will be illuminated at the same time. 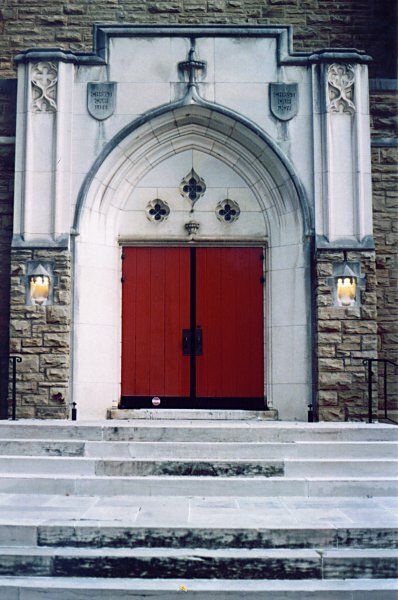 The red plus-sign means that the camera is adjusted for an over exposure. The green dot means that it is set for a correct exposure and the red minus sign means that it is set for an under exposure. If the green dot and one of the others are lit at the same time, it means that you have the camera adjusted for an exposure between the two settings. Adjusting the shutter and aperture are both manually set, so you have full control. By looking through the viewfinder, you can adjust either the shutter speed or aperture setting in order to achieve a correct exposure. It is powered by two 1.5 volt LR44 alkaline batteries. The focusing screen features a diagonal split image microprism. This is my first SLR with a diagonal split image microprism instead of the more common horizontal ones. I like the diagonal one better. I find myself tilting the cameras with the horizontal ones way too often for critical focusing. 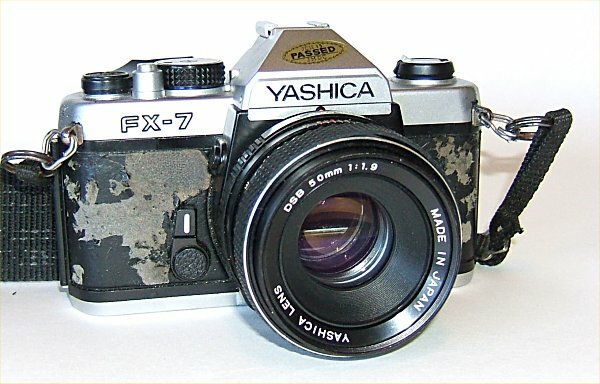 My Yashica FX-7 was an Ebay acquisition for the outrageous price of $12.50. Including shipping, it cost me about $20.00. I wasn't sure that it would work because the seller stated that it hadn't been used in at least 20 years. One thing I was sure of though, was that it looked horrible. Apparently it is fairly common for the "leatherette" covering on these cameras to break-down into a crumbling, sticky mess. Mine was certainly no exception and the light seals were in about the same shape. Fortunately though, if you are careful, you can peel the covering off and use it as a pattern for a replacement covering. I was torn between replacing the "leatherette" with a new, real leather covering or using a covering with some wild pattern on it just for fun. Unfortunately, my boring, conservative side won and I put black leather on it. It looks and feels good and makes it look about 30 years newer. I guess I really should have tested the camera before re-covering it, but I wasn't going to be seen shooting with a crumbling, sticky mess of a camera like that! So, off to the Michael's hobby store for some leather. I bought a sheet of very thin black leather that was around one square foot, for about $8.00. I picked up a sheet of peel and stick felt from Hobby lobby for a dollar or so. I used it to replace the sticky light seals. I could have done a little better job cutting the leather around the lens mount, and if it keeps bothering me, I may have to cut another front cover for it. 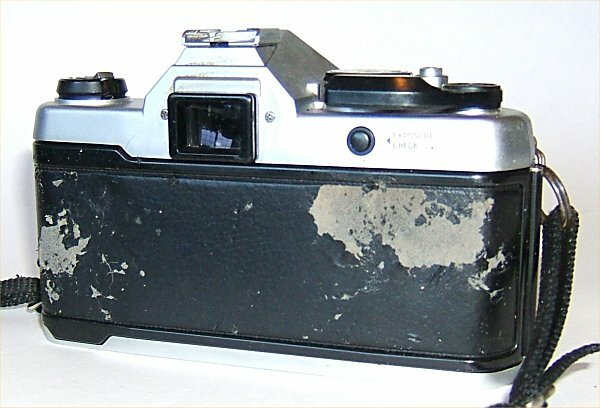 I could probably re-cover about three of these cameras with one sheet of the leather. Here are two "before" photos of the camera. These are two "after" photos. 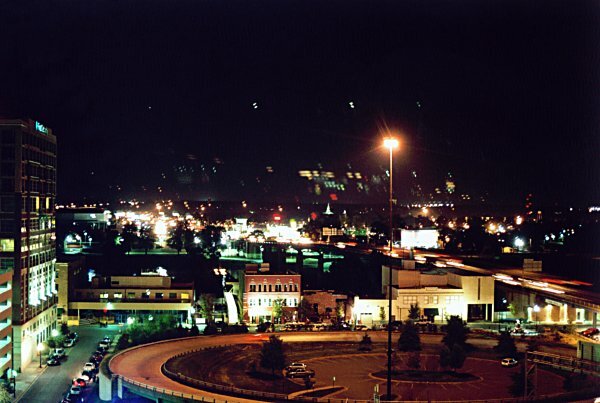 These are a few scans that I made of standard 4 by 6 inch prints that were taken with this camera.